Clay has been used by native tribes around the world for hundreds of years due to its detoxifying agents. Bentonite clay is mined from the earth where volcanic ash has settled, and it has a strong negative ionic charge. If activated with water, this clay works like a magnet, attracting toxins and metals, which are then taken out as waste. It can also re-mineralize the body. Premier Research Labs offers a bentonite powder concentrate called Medi-Clay-FX, a premier-quality clay for whole-body detox. This formula can be used as part of a regular colon cleansing regimen. By eliminating toxins and metals, the body is better able to assimilate the nutrients it needs. 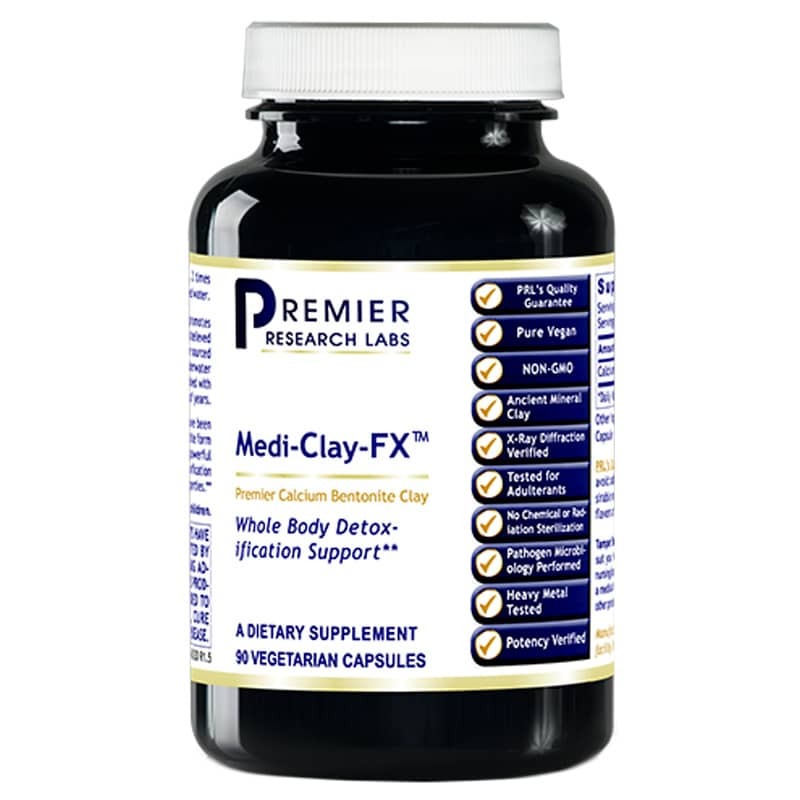 If you're looking for a natural supplement that offers whole-body detox, check into Premier Research Labs' Medi-Clay-FX. Order online today! Contains NO: GMOs. Pure Vegan. Adults: Take 1 capsule, 2 times daily, with 4 oz. (or more) of purified water. I have trouble finding people who sell one of my supplements. They not only had it but it was a better price than I was paying before and had free shipping! Overall I like this clay. My dr highly recommended it for my mold illness. I've had zero issues and it came to me quickly.